Huddersfield Town are very close to turning Aaron Mooy’s successful loan move from Manchester City into a permanent deal, Alan Nixon of The Sun reports. 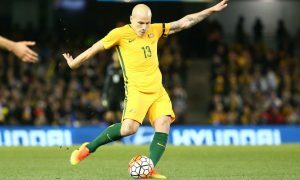 Mooy, 26, was brought over from City Football Group partner club Melbourne City a year ago at little to no cost and loaned to Huddersfield, where he was a sensation, inspiring them to Premier League promotion with his excellent performances in midfield. And despite rival interest from Brighton and Southampton, the Socceroo is close to a permanent deal with David Wagner’s side. 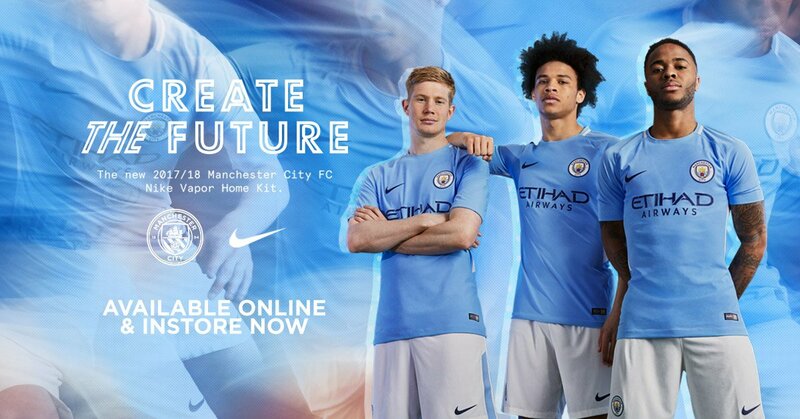 He will move from City to the John Smith’s Stadium for a fee of £10 million, a huge profit for Man City. 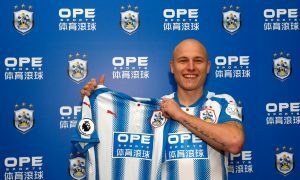 Mooy will become the best-paid player in Huddersfield’s history with a £35,000-a-week wage. John Percy of the Telegraph is also reporting this news, stating that Huddersfield will pay £8 million plus £2 million in add-ons. Paul Hirst of The Times adds that City have included both sell-on and buy-back clauses in the deal. Australian news channel SBS claims SEVEN Premier League clubs have been willing to match the £10 million asking price, but it appears that The Terriers have won the race.